The future of many industries relies on harnessing emerging technologies for improving existing business models, differentiating themselves and staying relevant. In today’s ever-changing business landscape characterized by rapid changes in technology, business leaders need to constantly keep an eye out for disruptive technologies and make agile decisions about how to adopt them to compete successfully. Netscribes’ market and technology intelligence solutions help businesses keep track of technology changes and help them stay ahead of emerging technologies and shifting consumer patterns. Based on our research, here’s a peek at seven technologies that are expected to disrupt enterprises in 2018. 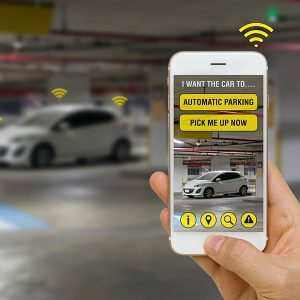 The need for intelligent data-driven applications such as connected devices, increased mobility, and faster networks (4G and 5G) has led to the emergence of edge computing. 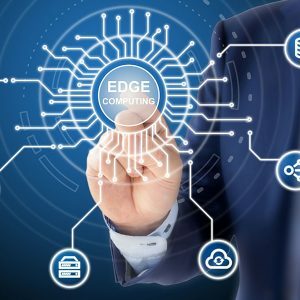 Edge computing addresses the need for real-time data processing in low latency environments through optimized data processing. Edge computing solutions can be mobile, static or a hybrid of the two, such as in case of smartphones, a manufacturing unit, or a medical unit, respectively. Its enterprise use cases include it can be used for consumer behavior analysis in the retail sector, compliance analysis in the BFSI sector, remote monitoring of oil rigs, IoT data analysis, and monitoring, and smart lighting. Blockchain is a digital, decentralized ledger for recording a history of all transactions that take place across a peer-to-peer network. 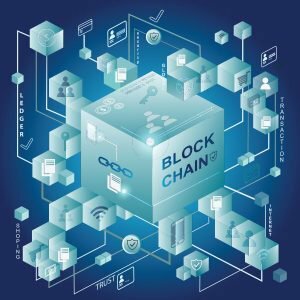 Blockchain technology is most often linked to bitcoin and cryptocurrency. However, it has various utilities beyond the domain of cryptocurrency. Recently, blockchain’s potential has been recognized by sectors other than financial services, too. 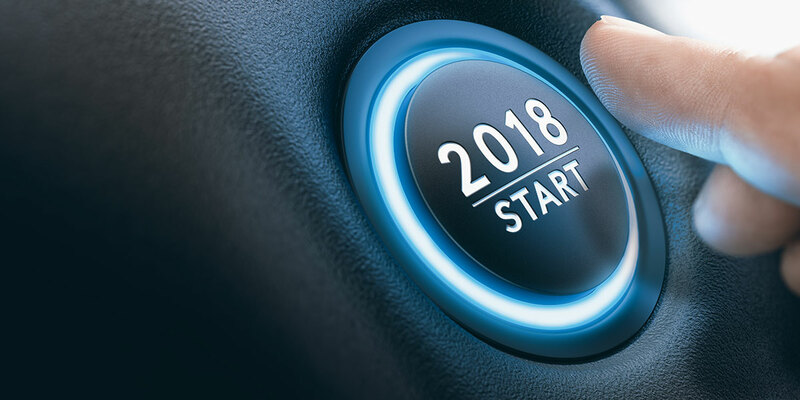 In 2018, it is expected to emerge as game-changing technology in more industries such as human resources, legal, manufacturing and supply chain, and shipping and logistics. Cobots are particularly used for time-consuming, repetitive tasks especially like those in automotive, furniture and equipment, metal and machining, plastic and polymers, and food and beverages manufacturing industries. Cobots are equipped with sensors, smart technologies, and systems which are linked with the IoT and specific systems. They apply advanced technologies, which include collision detection, torques sensing, and elastic actuators, for efficiently completing tasks. Intelligent apps learn the behavioral, contextual and emotional patterns of users in real time and provide a personalized experience in every successive session. Every time input is made, the mobile app tailors a personalized response. 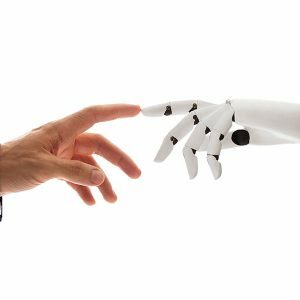 In coming days, every mobile application will be intelligent, and machine learning will play the lead role just like cloud technology in today’s world. 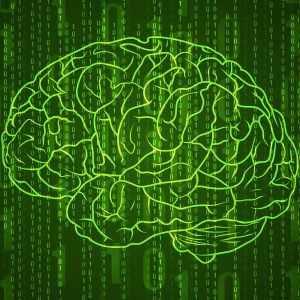 Technology experts who term themselves as ‘neuro-hackers’ have identified ways to capture and manipulate brainwaves to detect diseases, improve health, and even help the severely handicapped. For instance, the headband developed by BrainCo controls brain waves and employs neurofeedback to manipulate a prosthetic hand or help people with attention deficit hyperactivity disorder. The applications of neuro-hacking, however, are not limited to healthcare. People’s thoughts are being studied about neuro-marketing, which targets people’s brains, using their sensory and cognitive response to test new services and products. As cryptocurrency acceptance becomes more widespread, we expect to see more companies venture into crypto mining. Some investment and financial firms are already classifying cryptocurrencies such as Bitcoin as alternative investments. 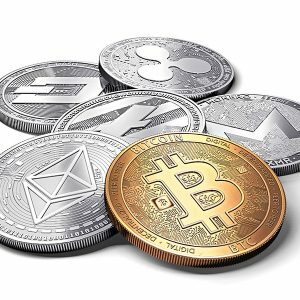 Cryptocurrencies are also likely to become part of day-to-day transactions as more companies begin to accept cryptocurrencies payments, following the likes of Microsoft, eBay, Dell, Sears Target and Expedia. Enterprise collaboration is a communications system that helps employees across the firm, work efficiently. Enterprise collaboration systems lead the way with a combination of various tools such as the internet, extranets, and other networks to support basic functions such as sharing documents, emailing, chatting, video conferencing, project management and various other aspects. 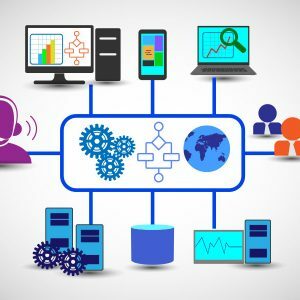 Globally, the enterprise collaboration market is estimated to be valued at around $30 billion in 2017 and is expected to cross the $65 billion mark by 2023. For 2018, we can expect the same to be nearly $35 billion, with more industries looking to achieve productivity that is efficient and high in quality. The top five IT companies in India and some of the world’s leading software and electronics manufacturing companies rely on Netscribes to identify and evaluate emerging technologies and gain a 360° view of markets and competitors to compete better in the fast-paced technology industry. Speak to us to learn how you can gain business intelligence to stay ahead of change and disruption.